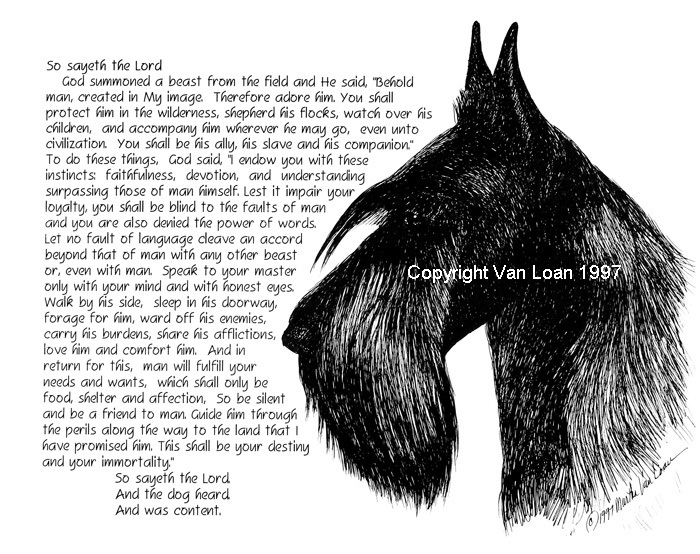 Home > Terrier Group > Scottish Terrier "So Sayeth"
The Scottish Terrier, "So Sayeth the Lord", A lovely verse written by the Benedictine Monks about the loyalty of our dogs. A Limited Edition Lithographed Print, signed and serially numbered by the artist. The Image size is 11"x14" and a double mat, Tan and Black, is available for a finish size of 16"x20". See our framing section for options on Mats and Frames.